VRDL360 is a crowdfunded camera with 7K photo and 3K video resolution that looks like it’s about to be fully funded. It’s still being offered at the shockingly low price of $99. Meanwhile here are full resolution sample photos. The photos were shared by the campaign organizers then I uploaded them to Roundme so we can see them in 360. According to the organizers, the photos are completely unedited. The resolution of the files are 5656 x 2828, lower than the 7K resolution they claimed. I am guessing that the final photos will have higher resolution if they will stick to their claim of 7K. In any case, the exposure and sharpness look excellent, and I couldn’t find any chromatic aberration. The colors look good in some of the photos, while in others the white balance seems to have a little too much magenta. The stitching looks flawless in several of the photos. The dynamic range looks very good although few of the photos pushed the camera beyond its limit. One thing that is a little unusual about the VRDL360 is the price. I thought $99 was only for the first 50 backers but it appears that’s their price for the entire campaign to date (look at the list of backers). This is a little strange and almost sounds too good to be true. The truth is that if they can really produce a 360 camera with this quality, then even at the supposed MSRP of $219 it would be a bargain and I wouldn’t mind buying it at full price. For now I am wondering whether they will actually be able to produce this camera but I would be happier than anyone to proven wrong. We’re honored to have you review our sample images. One thing I’m sure that the image you have may have been compressed (Did you download it from Facebook? Facebook compresses images all the time) but we’ve never provided image with 5656 x 2828 pixels. You may check more samples at https://drive.google.com/open?id=0Bxdw2ISwp-hDcGZ4ckNCVTUxWHM. They’re all 7000*35000 with zero post edit applied. We’re still improving image quality and sensor quality as well as sharpness and going to make an upgrade by the end of the month. 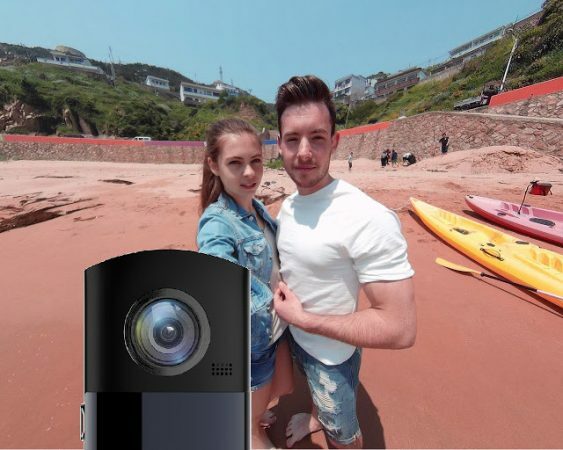 It’s true that we’re still offering VRDL360 camera at the price of $99 and and the price will be increased soon as we’ve achieved around 130% of our funding goal. Now our product is at the stage of moulding and will be completed by the end of June. If everything goes well, mass production will start in July and delivery can be expected in September. We’re very confident in this. You’re welcome to take a look at the samples on Google Drive with the link provided. Congrats on the upcoming camera. One question on the pictures in the google drive. The two shown as taken at CES Asia have EXIF indicating being taken by a Ricoh Theta. Great if you could clarify. Thanks & look forward to testing the camera!